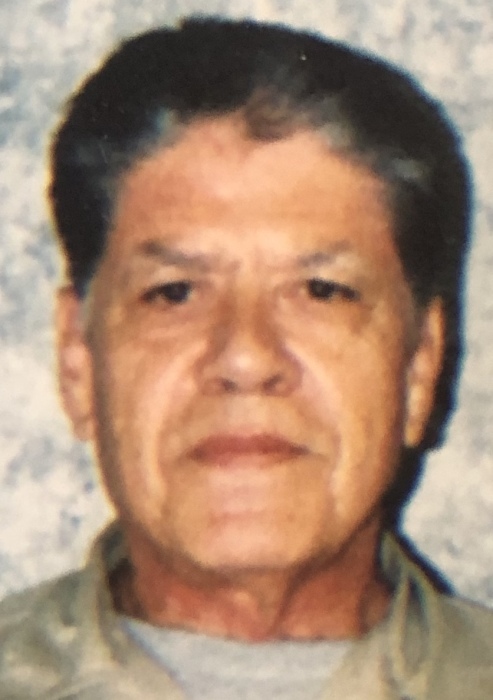 Henry Holguin Diaz affectionately known as “Enrique” or “Moose”, passed into eternal life April 4, 2019 in Lubbock. He was born to the late Arnulfo Carrasco Diaz and Maria Holguin Diaz and was a long time resident of Brownfield, TX. Those surviving Enrique are his Daughter Sandra and her family of Carlsbad, NM, two sons, Henry Jr., and Ernie Diaz, his Siblings, sisters Isabel Hernandez of Brownfield, Rosalita and Husband, Ernesto Calsoncin of Breckenridge, Tx, Janie and Delia Diaz both of Lubbock, TX, A brother, Ramon Diaz and wife Margie also of Lubbock, TX, grand-daughters, Angela and Yvette and a grand-son, Jaime Jr., and great-grandchildren. Many nieces and nephews will also miss his presence. Henry is preceded in death by two brothers; Arnulfo Diaz Jr., and Jerry Diaz. Visitation for Henry will be Saturday and Sunday April 6th, and 7th 2019 at Chapel of Grace funeral home 1928 34th Street in Lubbock from 4 to 8 pm with rosary service starting at 6 pm., Saturday and a vigil service Sunday also at 6 pm. Moose was a real fan of sports, especially baseball and football. He loved to eat and enjoyed family meals sharing stories and making jokes or just causing a good ruckus. The pride of his life was his grand children, one and all and spoke often of them. Mass of Christian Burial will be celebrated in Sacred Heart Catholic Church Plains, Tx Monday April 8th, 2019 beginning at 10:30 am, with burial following in Plains cemetery under the direction of Chapel of Grace Funeral Home.